We should take a hard look at what is happening inside our borders. The call is for nothing less for the Roma people, than we demand for the majority society. Ahead of the 70th anniversary of the Universal Declaration of Human Rights next year, the United Nations Human Rights Office (OHCHR) is encouraging everyone to “stand up for human rights“. And at a meeting in the European Parliament recently, a cross-party group of MEPs called on their governments and the European Commission to finally focus attention on the problem of statelessness among Roma and to discuss concrete steps to solve it. Article 15 of the Universal Declaration of Human Rights, agreed in December 1948, affirms that: “Everyone has the right to a nationality”. Yet, as MEP Soraya Post pointed out, in an article in the EU Observer, ‘living without a nationality and rights is a harsh reality for thousands of Roma in Europe. ‘And one of the challenges when you are discussing statelessness is that the term itself can unwittingly evoke an image of people who are in some way ‘outsiders,’ even when the people in question were born and have lived their whole lives in Europe. ‘Indeed, statelessness is often not an accident, but a logical outcome of discrimination. And the Roma have been treated unthinkably and unacceptably for centuries and deprived of their human rights. They have been enslaved, disowned, persecuted, exterminated, and not even the emancipation of our societies resulted in putting an end to societal anti-Gypsyism. Anti-Gypsyism is the belief that Roma are inferior, capable of less, having no prospect or will to catch up with the non-Roma, unfit to be good citizens of the countries they have been living for centuries; and anti-Gypsyism is also the actions built on this belief. The word ‘Roma’ is used here as an umbrella term which includes different related groups throughout Europe, whether sedentary or not, such as Roma, Travellers, Sinti, Manouches, Kalés, Romanichels, Boyash, Ashkalis, Égyptiens, Yéniches, Doms and Loms, that may be diverse in culture and lifestyles. How does anti-Gypsyism look in practice? According to stereotypes, if Roma are begging, they do it in a gang as criminals or they are in this situation because they are innately lazy. If Roma parents have a blond child, they must be kidnappers. If their children do not attend school, it is because they cannot stand discipline and are free spirits. If they are forced to live in a segregated Roma camp without drinking water, sanitation, heating and infested by rats, that is ok, as they are used to living like this. And when their houses are demolished without alternative housing being provided, that is also acceptable; they can live in the cold, their skin is thicker. We are raised and taught to think like this and to join the socially accepted, politically institutionalised process of dehumanisation. It is not only anti-Gypsyism taking form in our feelings that matters, but also the words through which it manifests itself: the Roma should not be treated as vulnerable people. If people are deprived of their fundamental human rights and denied equal treatment, access to welfare, services, information, it is not they, who are vulnerable, but rather the structures established and maintained by those in power are discriminatory and render them vulnerable. The demand now is for the paternalistic treatment of the Roma, both verbally and in action, to stop. And as words do matter, a shift also in the way we communicate about them. For Roma people to be included or integrated, they should be able to access and enjoy their fundamental human rights. Nothing more, yet nothing less. After a very long delay, politicians have to take equal responsibility for their Roma citizens. Otherwise, political rhetoric featuring hate speech and scapegoating will further contaminate our societies, which most of us still hope will be based on the values of respect, tolerance and openness. For anti-Gypsyism in numbers, the latest European survey findings and research results show the severe and far-reaching effects of anti-Gypsyism. As a result of the lack of real commitment to tackling anti-Gypsyism for decades, the life of most Roma people in Europe is bleak and is lacking prospects. Although European societies have become more and more diverse, the 2015 Eurobarometer survey on `Discrimination in the EU’ clearly shows that 20 per cent of the respondents would be uncomfortable working with a Roma person, and only 45 per cent of them would be at ease if their son or daughter had a relationship with a Roma person. Discrimination on the grounds of ethnic origin is the most widespread form of discrimination in the EU, which is demonstrated by the EU MIDIS II survey results as well. The survey paints an unacceptable picture of the reality of the Roma living in the EU. 41 per cent of Roma feel they have been discriminated against in schools, at workplaces, in housing and at hospitals. Other organisations, among them NGOs, watchdog and international organisations, provide a similar portrayal of the living conditions of Roma and the different faces of anti-Gypsyism in all walks of life. 40 per cent of Roma surveyed have to climb over fences, cross highways or be confronted by stray dogs while trying to get daily water, which often has not been tested for safety and is exposed to contaminants. The burden of fetching water falls mostly on women and girls. In Italy, between 2013 and 2016, about 2,200 people have been evicted from informal camps without adequate alternative accommodation provided, many temporarily housed in crowded and squalid segregated emergency shelters without basic necessities. In Bulgaria, as of February 2016, there were 514 demolition orders issued against residential buildings, with Roma-owned buildings constituting 500 (97 per cent) of these. Of these orders, 201 had already been executed. In these cases the Roma – including children and vulnerable family members – were not provided with any alternative accommodation, and were left homeless as a result. In recent years in Slovakia, 14 walls and barriers were erected to segregate Roma from the rest of the society. Several hospitals in Hungary, Romania and Bulgaria contain segregated and substandard maternity wards, and Romani women patients are subject to racial and physical abuse when giving birth. School segregation is a shameful reality across Europe. Recent research shows that 20 per cent of Roma in the Czech Republic and Slovakia have attended a school or a classroom that is both special and composed of solely or mainly Roma; a similar pattern has appeared elsewhere, including in France, Greece, and Bulgaria. Every second Roma in Hungary and Slovakia has been attending a regular school or classroom composed of solely or mainly Roma; the picture in Greece, the Czech Republic, Bulgaria, France and Romania is not much different. In Spain, 38.5 per cent of Roma are in paid employment, while the majority population reaches a proportion of 83.6 per cent. In Romania, around 15,000 Roma people are estimated to live without birth certificates resulting in not having the right to identity and to effective recognition of citizenship. Roma women have for decades been subjected to forced sterilisation in the Czech Republic, Finland, Germany, Hungary, Slovakia and Sweden. Many Roma victims of violence surveyed in Romania said that filing a complaint would be both burdensome and futile due to racism and discrimination at every level of the process. The historic data we rarely hear about: 25-50 per cent of the Roma community in Europe was killed in the Holocaust. The Roma Holocaust was first recognised in 1982 by then German Chancellor Helmut Schmidt. In Auschwitz a permanent exhibition on `The Destruction of the European Roma` was only opened in 2001. 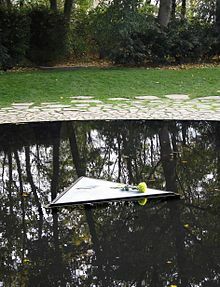 In Berlin the first memorial site to Roma Holocaust victims was not unveiled until 2012. Roma Holocaust victims still have not been duly compensated in several EU countries, and in the Czech Republic, the former Nazi concentration camp for Roma, Lety, is now a pig farm. The call now is for nothing more, but also nothing less for the Roma people, than we demand for the majority society.